PULLMAN, Wash. – A new statistics community at Washington State University will enhance educational opportunities and strengthen research initiatives. Faculty in all areas and at all campuses are invited to join as affiliate members. A kickoff meeting is being planned for later in the semester. 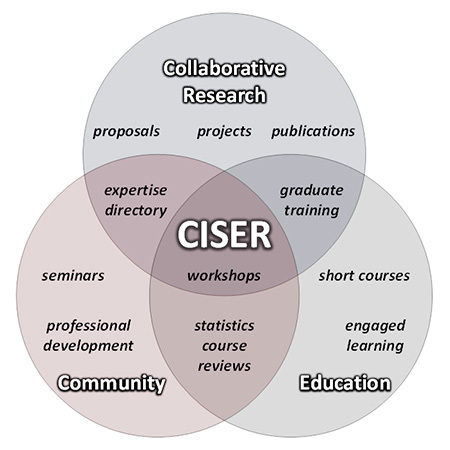 The Consortium for Interdisciplinary Statistical Education and Research (CISER) will train graduate students and faculty in statistical methods, improve the quality of statistical analysis in WSU publications and serve as an informal clearinghouse for statistics-focused courses. “CISER will bring a new level of sophistication to the WSU research enterprise and increase opportunities for faculty across the university to partner with WSU statisticians,” said Daryll DeWald, dean of the College of Arts and Sciences (CAS). A key goal is to help faculty and graduate students integrate applied statistics when designing and analyzing their research. The consortium will also foster nationally competitive collaborative research that makes significant use of statistical methods. CISER-led workshops, seminars and brown bag lunches will facilitate statistical training and research. Graduate students will be offered opportunities for engaged learning, and support will be available for those needing guidance in quantitative analysis for their research. 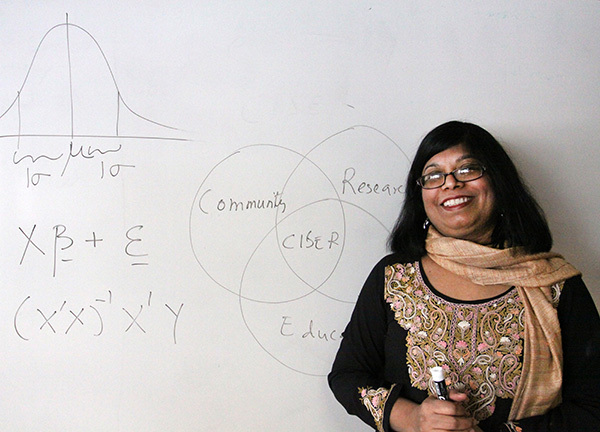 The consortium is led by Nairanjana (Jan) Dasgupta, professor of statistics in the Department of Mathematics, with core support from CAHNRS, CAS, the Office of the Provost and the Office of Research. Dasgupta has already received inquiries from more than 35 faculty and is looking forward to welcoming more to the community. At the kickoff meeting, Dasgupta and co-founding members Mark Evans, professor of statistics, and Dave Brown, associate professor of soil sciences, will present the structure and function of CISER and discuss plans for its growth into a vibrant resource that provides leadership in the application of statistical methods to all disciplines. For more information, visit http://ciser.wsu.edu or contact Dasgupta at 509-335-3736 or dasgupta@wsu.edu.